I started up my own buisness after being in catering for 25 years. I now own a hot and cold take-away shop on newtown row. The cafe has been open now for 7 years. 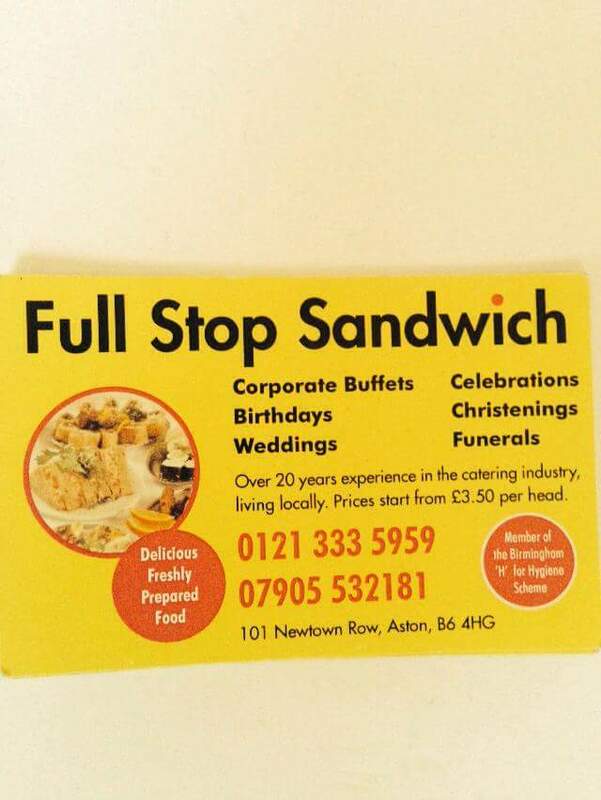 I do buffets for all occasions funerals,christenings,birthday,weddings etc.. Starting from as little as �3.50 ph! I will be doing first corporate buffets HALF PRICE! Contact me if interested for your occasions or even fancy coming into the shop for a bite to eat!